This recipe requires one special utensil: a baking sleeve (or baking bag), which is usually sold as a 3 metres long plastic sleeve that you can cut as long as you need. Make sure your baking sleeve has closing clips attached, otherwise you will also need some baking twine to tie both ends. Tie one end of the cut baking sleeve with attached closing clip or baking twine. 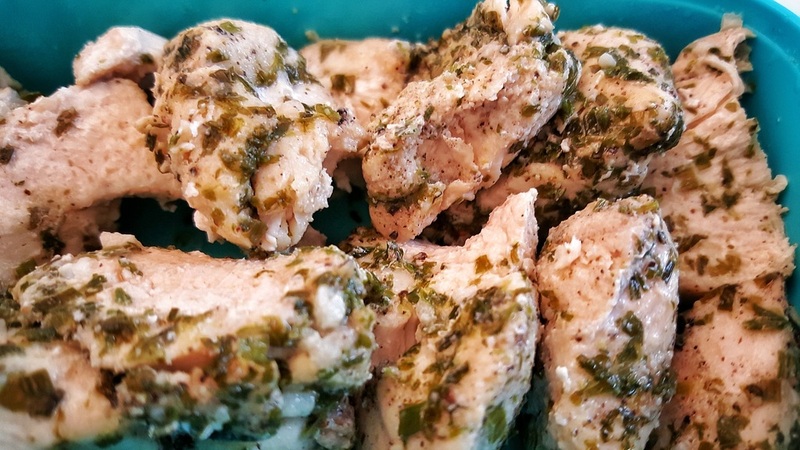 Cut the chicken breast into 2-3cm cubes, or just bite-sized cubes, then place them in the baking sleeve. Add all spices to the chicken, mix well, then tie the other end of the sleeve, making it look like a candy (see the image). 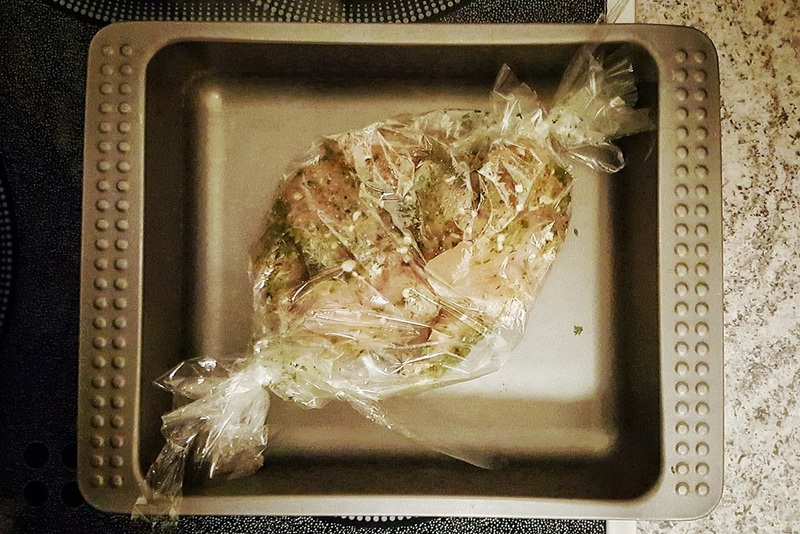 Place the baking sleeve with spiced chicken into a baking form or on a baking sheet, flatten it a bit to separate meat clumps, and bake it for 15-20 minutes. You can easily check the doneness, by rotating the sleeve — all pieces of the chicken should be white when you separate pieces stuck together.